How to Add Style to Your Small Apartment. Decorating a small space can be challenging, especially if you are moving from a home to a small apartment. 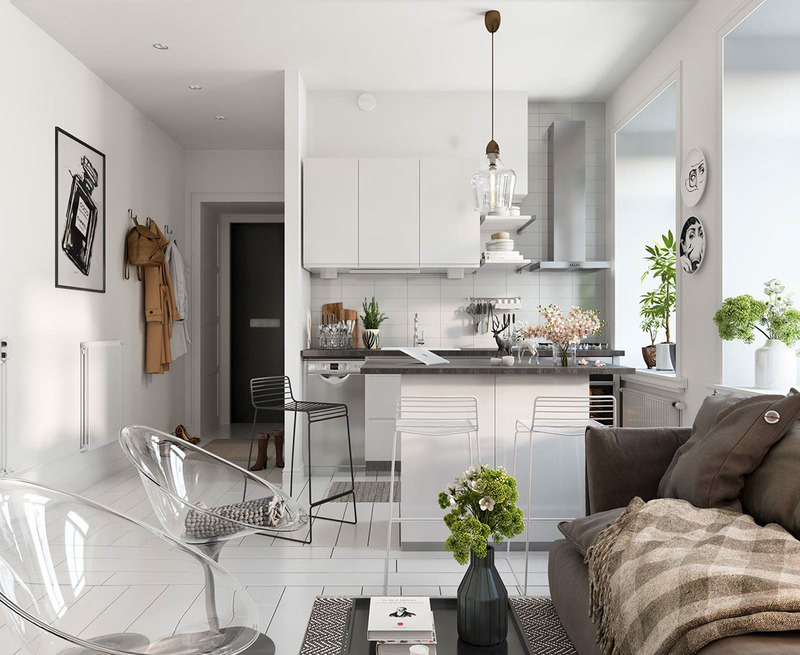 Fortunately, there are many easy and affordable ways to convert your small apartment into a stylish sanctuary that is cool, comfortable, and never feels cramped. A small apartment living room can easily be overwhelmed by excessively large furniture. Many home decor stores like Ikea understand this and offer a large selection of apartment friendly furniture. If you have a large piece of furniture, make sure it does not dominate the room by adding colorful smaller accent pieces. 2. Create an attractive focal point with your piece of furniture. Creating a focal point in each room helps the room feel more cohesive and less cluttered. Whether it is your sofa, a window, or a favourite piece of art, a focal point helps draw attention to one area of the room, providing a distraction from any less attractive areas. 3. Use tall items to draw the eye upwards. Use stacks and tall items to draw the eye upwards to create the illusion of higher ceilings. If your windows are small try purchasing long curtains and hang them as close to the ceiling as possible. Not only will this create a beautiful focal point, but also gives the appearance of a larger window. 4. Choose a cohesive color scheme. Use paint colours and fabric swatches to create an attractive colour scheme and use it throughout the apartment. Having a unified colour scheme creates a designer feel and makes your space feel pulled together. 5. Keep clutter to a minimum. Create areas for your art collections where they can be displayed together. If you have a problem finding storage in your apartment be creative and make your own. Many stores like Lowes carry affordable storage systems that you can install yourself. 6. Use mirrors to your advantage. Placing mirrors and other reflective surfaces opposite of windows and other light sources creates the illusion of more light and makes space appear larger than it really is. 7. Add your own artwork. Creating your own art is a fantastic way to personalize your space. Choose what interests and appeals to you and run with it. Let your imagination go wild and create a painting or project tailored to your home. Once you have established and arranged your furniture, it’s time to accessorize. Use items that you already own; small coffee tables, books, and other accessories can complement your furniture and make your space look more stylish. Small or unusual games like Japanese puzzle boxes also make interactive and attractive accessories. Remember, your living room is for living in, not staring at—make it fun, functional, and fabulously decorated.